Believe it or not, it was our first Brick or Treat. 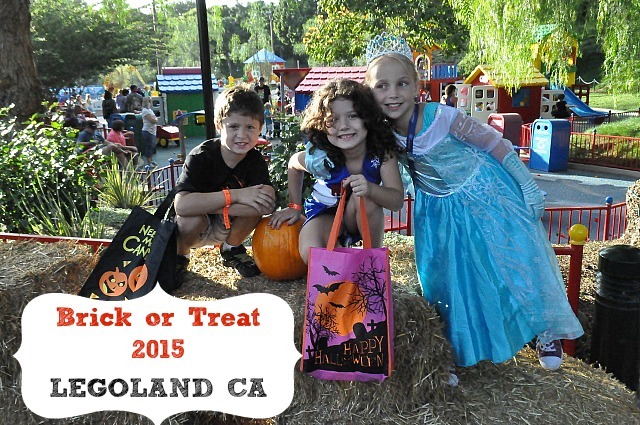 One of my favorite things about LEGOLAND® California Resort is that they understand that families need a place to bring their children to a safe and "not so scary" trick or treating. 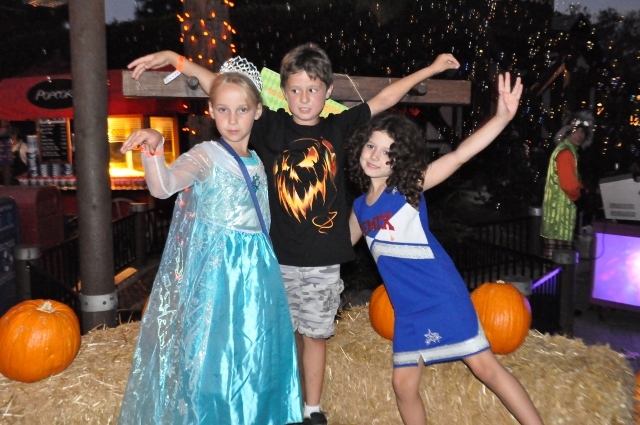 LEGOLAND® California, mixes their fun rides, shows and attractions with good old fashioned family fun. 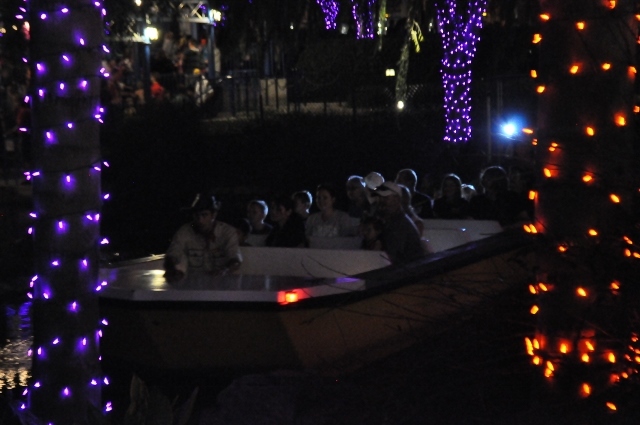 The park wasn't too crowded because the daytime park hours end before Brick or Treat begins. Only those with a Brick or Treat ticket will be allowed to stay, therefore cutting down on crowds and maximizing the fun. What was on the agenda for the night? We started off with Candy Quest. This adventure has you searching for hidden keys through caves. Find a key, get a sweet treat! The fun characters kept us laughing and full of sugar. At the end, the kids were given CHIMA LEGO sets! We were told they would give them out while supplies lasted. Next on our agenda was an introduction to the "Not So Scary Storytelling". The story changes with each audience as the audience decides the plot! Ad-libbing at its best. It was here that we were given the news, we and some of your favorite local bloggers were chosen to be LEGOLAND® California Ambassadors! What does this mean? It means that we will be giving you the scoop on All Things Legoland and their surrounding parks. For instance, did you know that there will be a Ninjagoland coming next year to Legoland California? As we took in Brick or Treat, we caught one of the shows. Witchettes cracked me up! 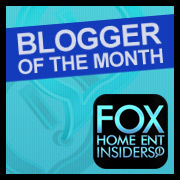 Check out how they get the whole audience dancing the Nae Nae(Watch Me) dance! One of the lines that wrapped around part of the park was the Enchanted Walk. 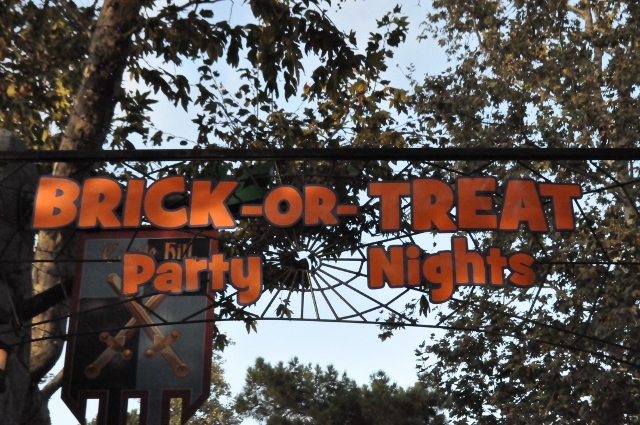 This area was set aside for extra special light decor and lots of Trick or Treat stations! The Goblin King was one to watch though. He had a tendency of making jokes and poking good fun at the adults in line. 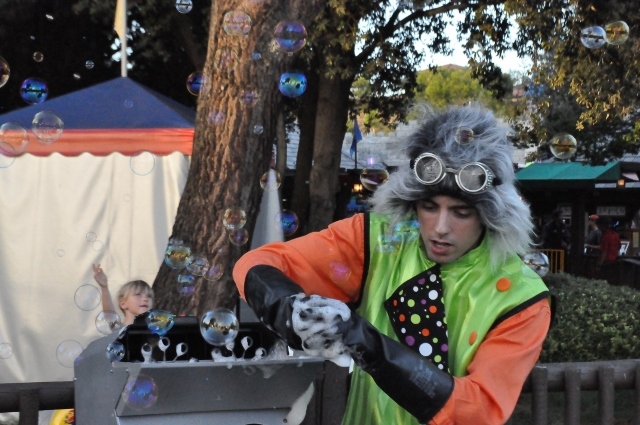 Have children that love bubbles(who doesn't)? 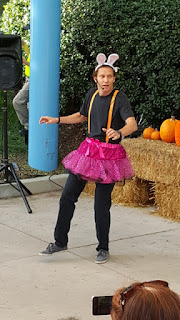 There was the Hubble Bubble Dance Party that started my kids on a bubble popping mission. One thing that I wished I had a chance to check out was the Ghost Cruise Scavenger Hunt. Hunt for LEGO ghosts through Mini-land with your crew. It seemed like a great way to see the Mini-land cities at night all lit up. There was so much to do and so little time! My kids pooped out before long and we had to pass on some of the events. Wanda’s Jellyfish Disco at Sea Life Aquarium – Its a dance party! 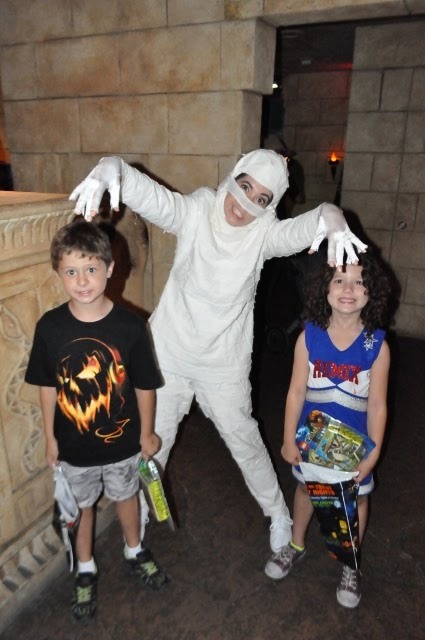 Be sure to check out Brick or Treat at LEGOLAND® California Resort before it's all over.